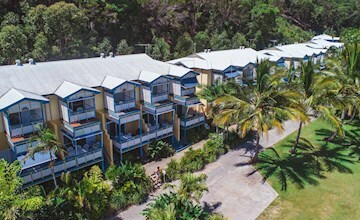 At Tangalooma, on the golden shores of Moreton Island, you will be spoilt for choice when it comes to accommodation. 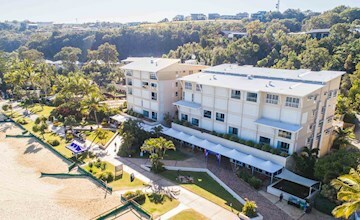 Choose from a range of beachfront accommodation styles from 3½ to 4 Star quality: hotel rooms, units, villas and apartments, each set amid luscious landscaped gardens and national park, most with ocean views. 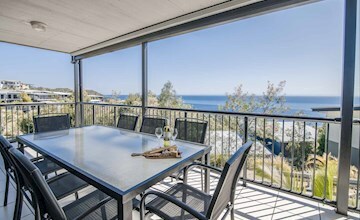 Alternatively, take up residency in one of the exclusive island Moreton Island holiday house rentals with million dollar views over Moreton Bay. The Run of House room type is great for the budget-conscious guest who just needs a place to rest their head at night. Specific room types, features and inclusions cannot be requested or guaranteed. Comfortable, spacious and great for short stays, our Kookaburra Lodge rooms are a great choice for couples or young families. Accommodates up to 4 guests. 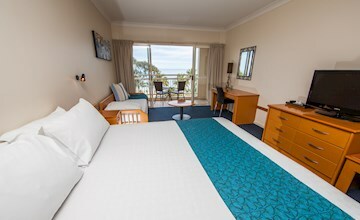 Comfortable, spacious and great for short stays, our Kookaburra Lodge rooms are a great choice for couples or young families. 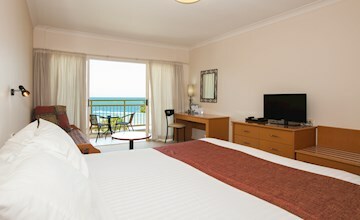 The Deluxe Rooms have additional luxuries for your stay. 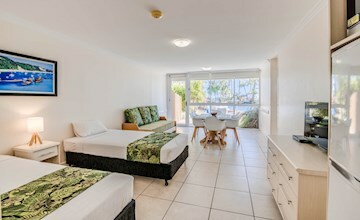 Located only metres from the beach, our Units are cool, comfortable and perfect for longer stays. The kitchenette and family area make for easy living. Accommodates up to 4 guests. Friends and families alike love our One bedroom Family Suites. With a large living area and kitchenette, you can spread out. Accommodates up to 6 guests. A family favourite! Our two-level, two-bedroom villas come with all the amenities of home. Catch the breezes and sea views from two private balconies. Accommodates up to 8 guests. 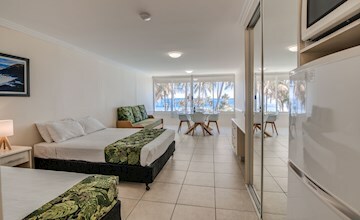 The newly renovated air-conditioned Deluxe Beachfront Villas are a comfortable option for families wanting to stay close to the beach! Spoil yourself with Deep Blue luxury. Designed for modern living, these elegant apartments offer you a million dollar experience and can accommodate from 6 to 9 guests. You'll never want to leave! 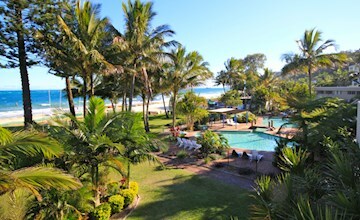 Spectacular views, multi-story living and a garden of your own make for a fabulous family holiday. Can accommodate from 8 to 12 guests.